It’s been a long road with your braces, but now they’re finally off. Hopefully the first glimpse of your new smile more than made up for the time and effort they required. But while braces removal is a big milestone, it’s not the end of your treatment—not, that is, if you want to keep that new smile! 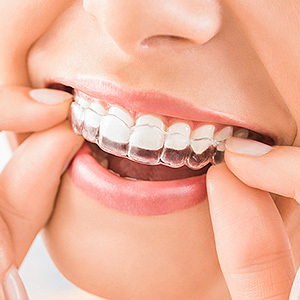 You’ll now need to wear an appliance called a retainer for a few years or, in some cases, from now on. Orthodontic retainers are a must after braces for the same reason braces work in the first place—your teeth can move. While the teeth attach to the jawbone via the roots, they’re firmly held in place by an elastic gum tissue network called the periodontal ligament. This tough but elastic tissue lies between the teeth and gums and attaches securely to both with tiny fibers. While the ligament provides stability, it’s also dynamic—constantly remodeling to allow the teeth to move in response to biting pressure and other mouth factors. Orthodontists use this mechanism when moving teeth to better positions. The braces apply pressure on the teeth in the desired direction and the periodontal ligament responds as the teeth move. Afterward, however, the ligament can still retain a kind of “muscle memory” for a time of the teeth’s old positions. Free of the pressure once supplied by the braces the teeth have a tendency, especially early on, to “rebound” to where they were. A retainer helps prevent this by exerting just enough pressure to “retain” the teeth in their new positions. In the beginning this may require wearing the appliance around the clock, but you may be able later to reduce wear time to just a few hours a day. Rebounding is unpredictable, so you should continue to follow your orthodontist’s recommendations on retainer wear. Wearing a retainer may seem like a drag, but it’s absolutely essential. Being diligent about it will help ensure that the beautiful smile you and your orthodontist worked so hard to obtain stays with you for years to come.